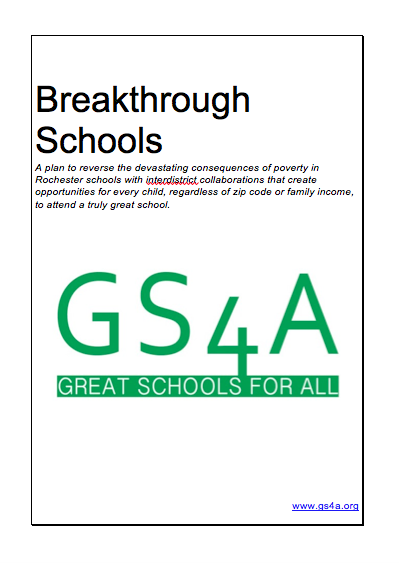 In April 2016, Great Schools for All released the Breakthrough Schools plan, which seeks to break through poverty barriers, low graduation rates, restrictive geographic boundaries, old ways of doing things and the acceptance of the same old results. 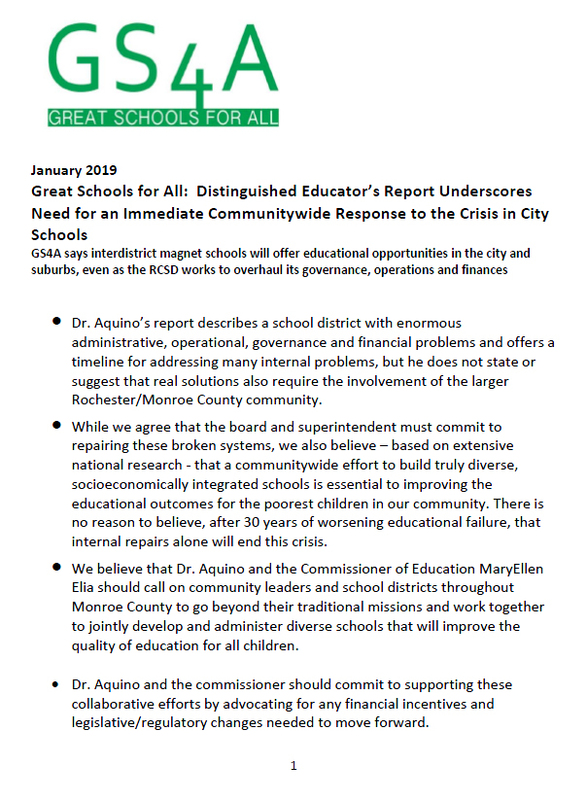 This plan serves as a roadmap to a regional, voluntary network of magnet schools that will help reduce the effects of concentrate poverty and give every child the opportunity to receive an excellent education, regardless of their zip code. This spring, Metrix Matrix completed telephone interviews with 602 parents of school-age children, 301 from the city of Rochester and 301 from the surrounding suburbs. Read the Parent Survey Summary to learn more about the positive response among parents – across geographic, income, racial and ethnic lines – in considering socioeconomically-integrated magnet schools that would draw students voluntarily across school district lines to access specialized academic offerings.